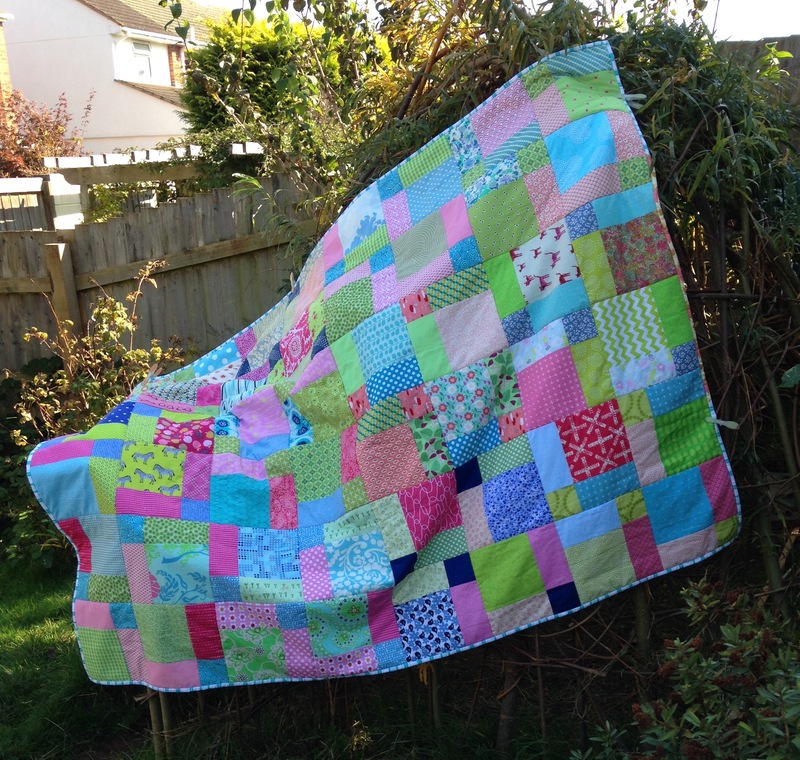 I’m really pleased to have another quilt finish to show you this week. 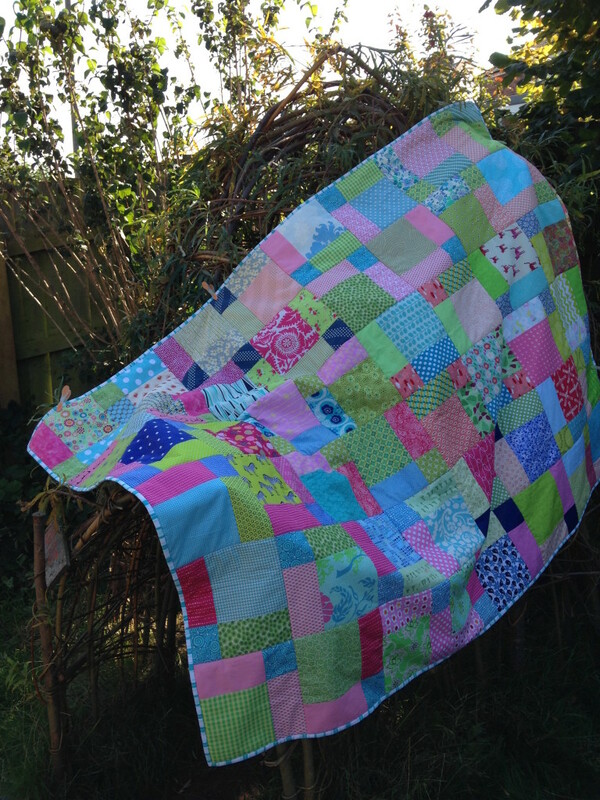 I finished stitching down the binding this morning and took some photo’s on my phone in the garden! Usually Tobit does the photography while I (or a helpful child) hold the quilt but we’ve got a busy weekend ahead so I thought I’d just try and get it done. So it’s a Siblings Together bee quilt with additional contributions from other lovely people via IG from as far away as Australia! Some people sent more than one blocks which meant that I had more than enough blocks for 2 quilts! 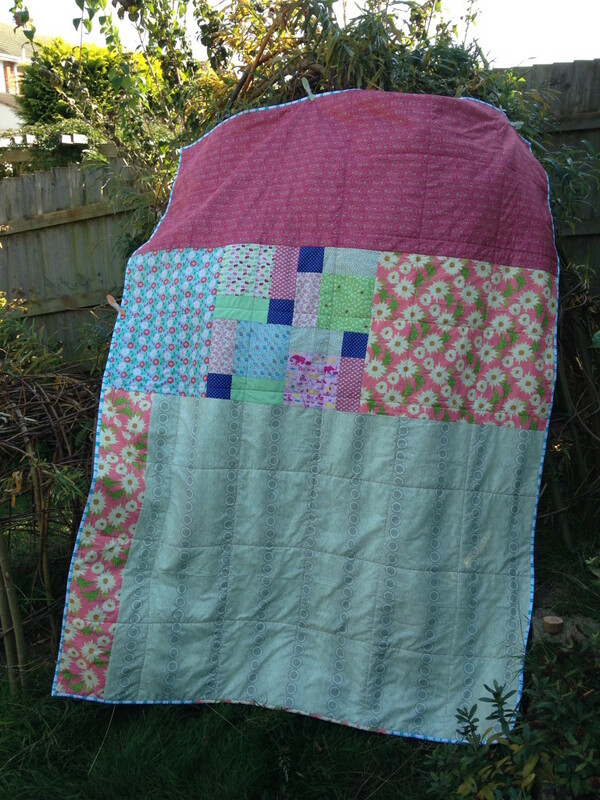 The other quilt top is pieced and waiting for me to piece the backing. 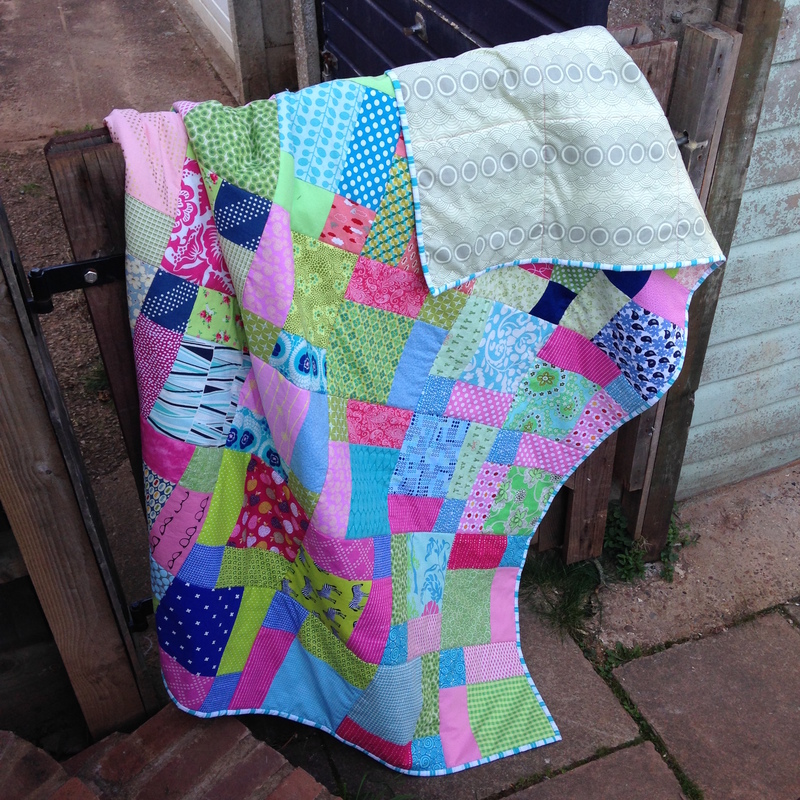 I included one of the ‘spare’ blocks in the backing along with spare fabric that Nicky sent along with her blocks. 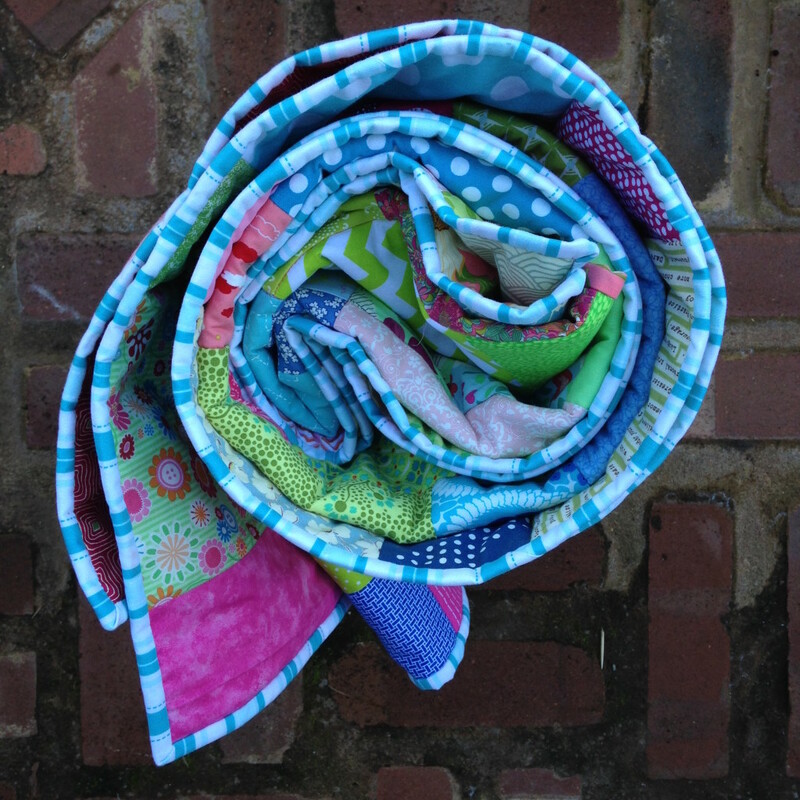 As the deadline for 100 Quilts for Kids has been extended I’m linking this up while there’s still time! 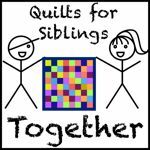 I’ve set up a new flickr thread for quilts made for Siblings Together ready for the camps in 2016, if you make one please add it to the thread. 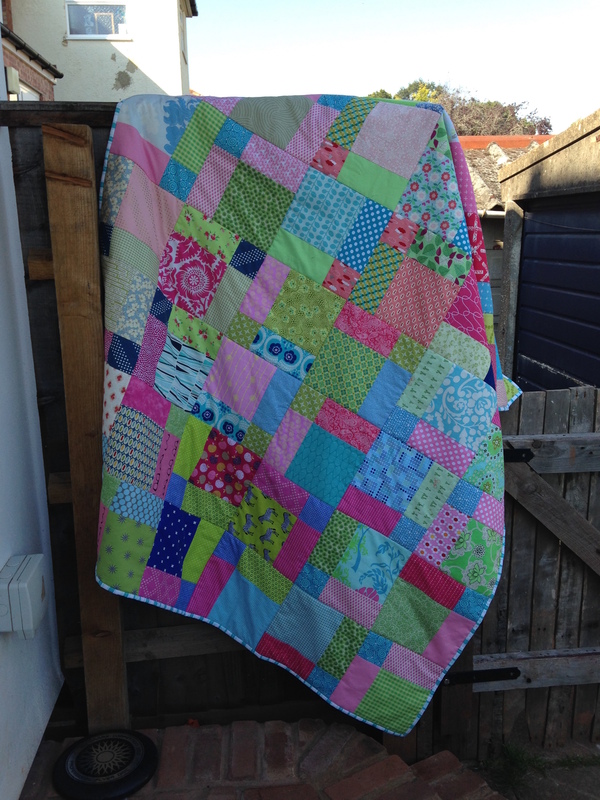 Thanks to everyone who contributed to the making of this quilt. 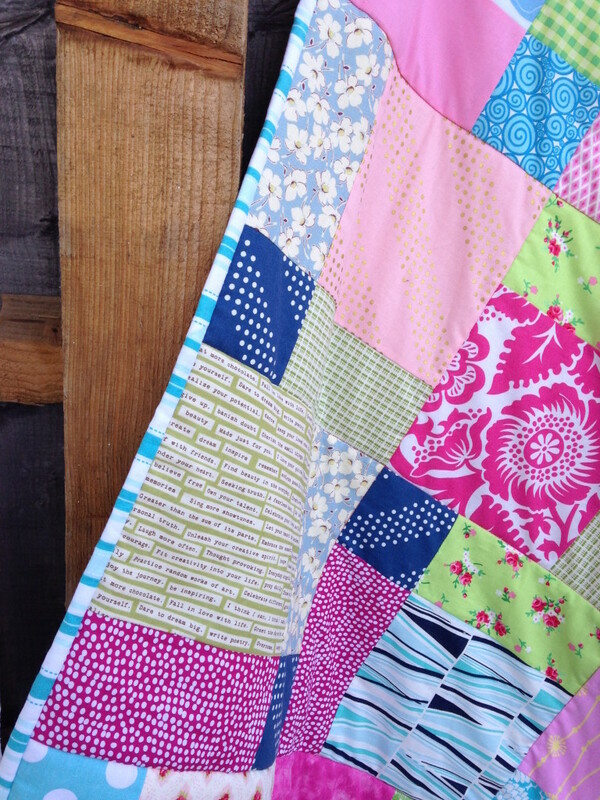 Love a combined effort and so glad you found a use for that fabric! Thanks for joining the #siblingstogether link up!